Forty years ago, Iran's military said it wouldn't stand in the way of revolutionaries and returned to its barracks, signaling the end of the rule of the shah. 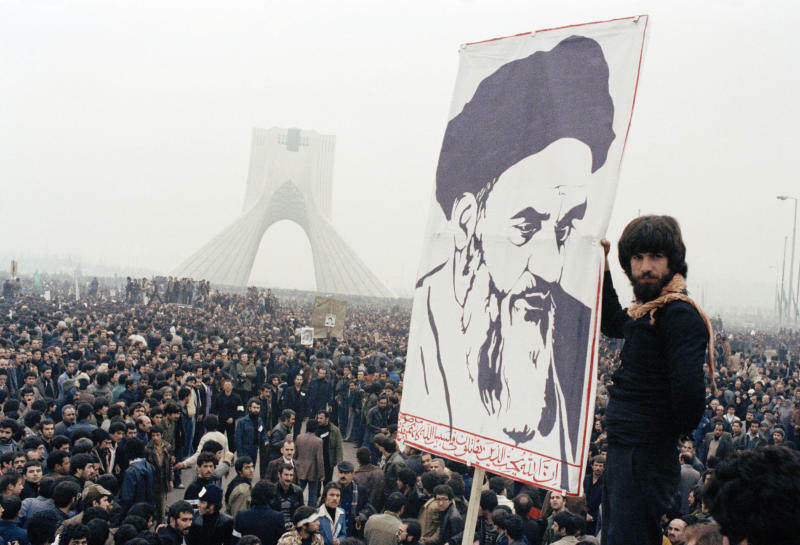 Here are the key moments leading up to Iran's 1979 Islamic Revolution and the hostage crisis. —Aug. 19 —Hundreds die in an intentionally set fire at a cinema in the southern city of Abadan. Authorities and the opposition blame each other for the fire, which triggers unrest across Iran's oil-rich regions. —Sept. 8 —Martial law is imposed in Tehran and 11 other cities after 100,000 anti-shah demonstrators stage a protest march in the Iranian capital. Troops open fire on demonstrators in the capital's Jaleh Square, killing 121 and wounding 200. —Sept. 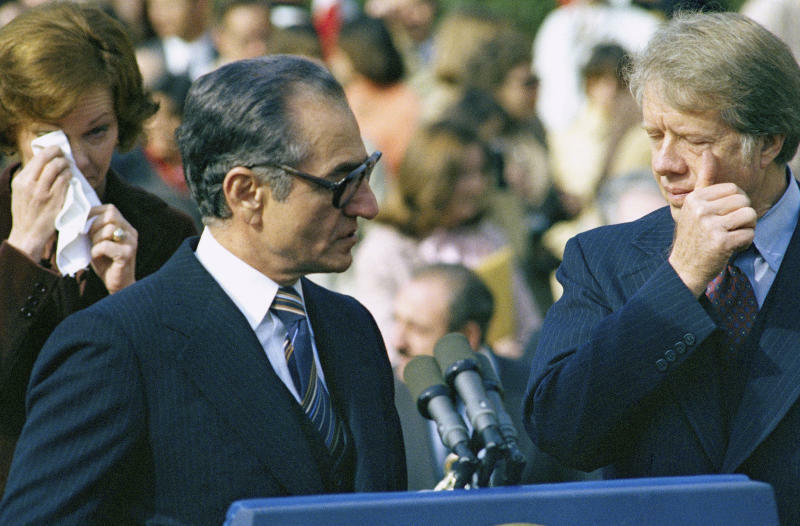 11 —President Jimmy Carter calls the shah to reaffirm the "close, friendly relationship" between the United States and Iran. —Oct. 6 —Ayatollah Ruhollah Khomeini is forced to leave Iraq for France. He had lived in exile in Iraq since the failure of a religious revolt against the shah's 1963 land reform that deprived the clergy of its holdings. —Oct. 31 —Iran's petroleum exports are disrupted as oil workers begin wildcat strikes that ultimately reduce production from 5 million barrels daily to a trickle. —Nov. 6 —Cabinet resigns and is replaced by a military government headed by Gen. Gholam-Reza Azhari, Iran's armed forces chief of staff. Several newspaper editors are arrested and censorship is imposed, prompting a two-month newspaper strike for two months. The shah pledges that "past mistakes of unlawfulness, cruelty and corruption will not be repeated." —Nov. 25 —From Paris, Khomeini calls for resistance against the "illegal" military government. —Jan. 1, 1979 —The shah appears before reporters for the first time in two months and concedes he "would love" to go on vacation "if the situation permits." —Jan. 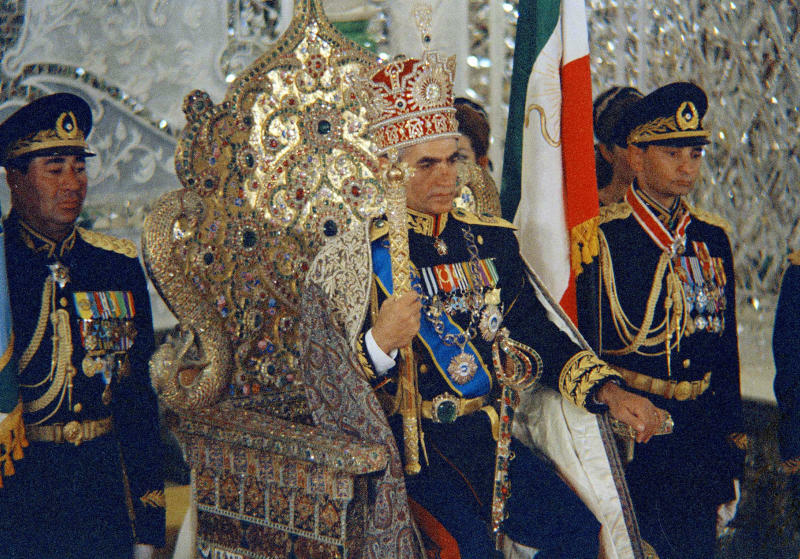 13 —The shah appoints a regency council to represent the crown during his absence, while Khomeini announces from Paris the formation of a revolutionary council to prepare for an "Islamic Republic." —Feb. 9 —Imperial guard troops are sent to quell a pro-Khomeini demonstration by air force cadets at a base in Farahabad, on Tehran's southern outskirts. —Feb. 10 —Islamist and leftist guerrillas battle imperial guard troops around the Farahabad base, forcing the shah's troops to retreat with heavy losses. Joe Alex Morris Jr., Middle East correspondent of the Los Angeles Times, is shot and killed during the battle. —Feb. 11 —Iran's general staff declares the neutrality of the armed forces and troops are ordered back to their barracks, guaranteeing the Islamic Revolution's success. The action dooms the Bakhtiar government and the prime minister flees Tehran, ultimately to take up exile in France. —March 30 —Millions of Iranians heed Khomeini and vote "yes" in a referendum on replacement of the monarchy with an Islamic revolutionary regime. —May 13 —Ayatollah Sadeq Khalkhali, chief of Tehran's revolutionary court, calls for the assassination of the shah, some members of his family and former high-ranking officials who escaped abroad. —Sept. 4 —The Iranian government orders The Associated Press to close its Tehran bureau, complaining that reports of fighting between government troops and Kurdish rebels had been "basically untrue." Four AP correspondents are ordered to leave the country.